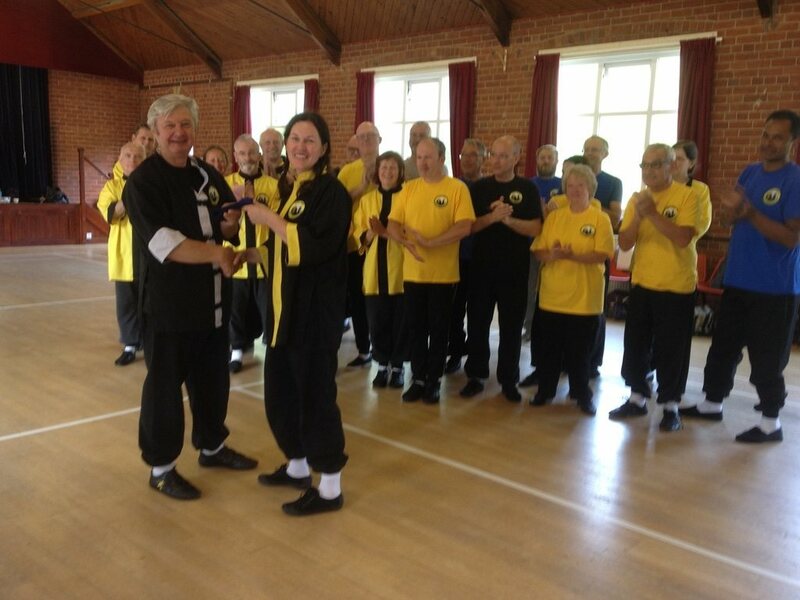 Susan has over 27 years experience practicing The Lee Style of Tai Chi and Feng Shou and is one of The East West Taoist Associations Chief Instructor Howard Gibbon’s longest serving students. As Area Coach Susan continues to train with Howard at his monthly advanced classes and Summer Courses held in Scarborough. Susan runs weekly classes, holds regular gradings and training courses locally to help pass on this beautiful art to students and instructors in the area. We welcome anyone who is interested in learning our arts to come along no matter what level of fitness. Just join in and you will soon feel the benefits. Our arts are truly amazing. All that is required is an open mind and a willingness to learn, oh and a smile… hopefully you are going to enjoy yourself! To start training, please wear light training shoes and loose fitting clothing. You can obtain training kit once you become a member of our association. The foundations of our arts, Stances, The Golden Principles. Tai Chi Form, Tai Chi Dance, Sticky hands, Kai men (Taoist Yoga) Chi work. Dao Yin (breathing exercises), Whirling hands/arms. All these elements will help you to improve happiness and health. There are also opportunities to practice with weapons, grade and enhance training on day courses both locally and nationwide. Can I come to a Feng Shou Class if I have never done any self-defence before? Yes. In a Feng Shou class you will learn many different techniques that develop your self-defence skills. Feng Shou will increase fitness levels, enhance health thereby boosting self-esteem and confidence. One of the most important differences in our style to those that rely on brute strength, is that we teach the development and utilisation of Chi or intrinsic energy developing beyond the brawn. Therefore no matter what your experience, whether you are young or old, male or female, you can with practice develop your skills in this wondrous art of self-defence.